Cyberpunk 2077 has loot of varying rarities, all expressed through a Blizzard-style colour coding system. The information comes from a hands-off press demo of the game at E3 2018. As you’re probably largely aware by now, many games follow a similar system when that Blizzard uses in its games when it comes to item rarity. Cyberpunk 2077 will be another one. Common loot – or gear, as items are referred to in Cyberpunk 2077 – will likely be grey. Uncommon items are green, while Epic gear is purple. Filling in the gaps from what I’ve learned from Diablo (and, more recently, Fortnite) that would suggest that there’ll also be blue and orange items for Rare and Legendary loot. Check out our list of the best RPGs on PC. The information comes from an impressions piece from Kotaku, which also states that it “seems like there will be a ton of guns, each with its own ability.” There are three types of Cyberpunk 2077 weapons, from traditional ballistic guns to ‘Smart’ weapons which automatically track their targets – an attempt by CDPR to not alienate those who might not be used to its first-person output. 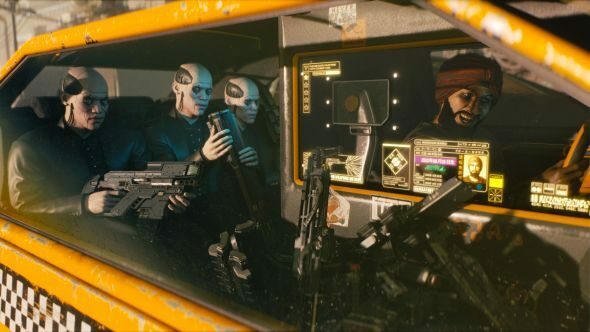 We still don’t have a Cyberpunk 2077 release date, but while that’s distressing, there is some good news – CDPR says that now the game has been officially revealed, it’ll be open to talking about it more, so expect to learn more in the near future.